You guys know that when Inbox is officially retired in about a month, I may retire from tech for good and go back to a flip phone. I can’t stand Gmail after using Inbox since the day it was released over four years ago. 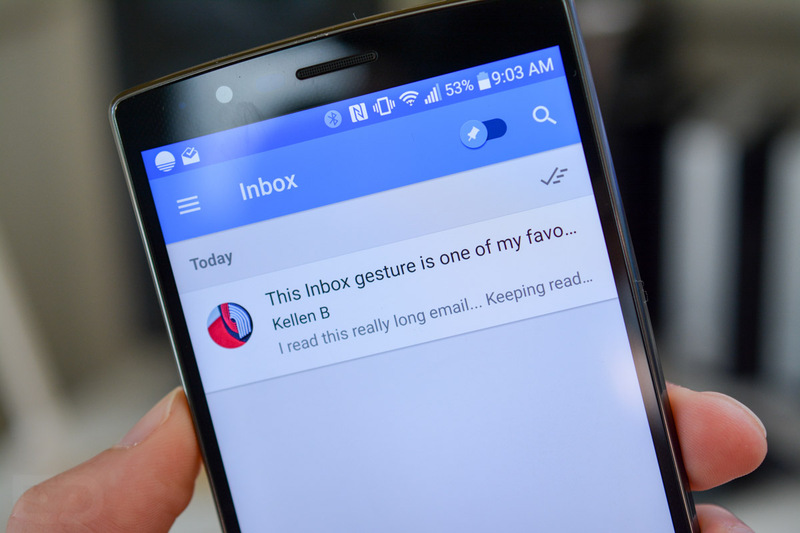 The transition away is going to be rough, because Google has yet to pull over the stuff I really love about Inbox. Here’s a list of missing stuff, in case you were wondering what I’m referring to. All of that over-the-top drama aside, Google does still have some time to save the day and is apparently working on multiple versions of Gmail that have a bunch of features from Inbox, according to a supposed leak. A redditor posted a screenshot you’ll see below of one of those internal builds, though I’m a bit skeptical over whether or not it’s real. If it is, great! If it isn’t, well, Google should do this stuff in some way. 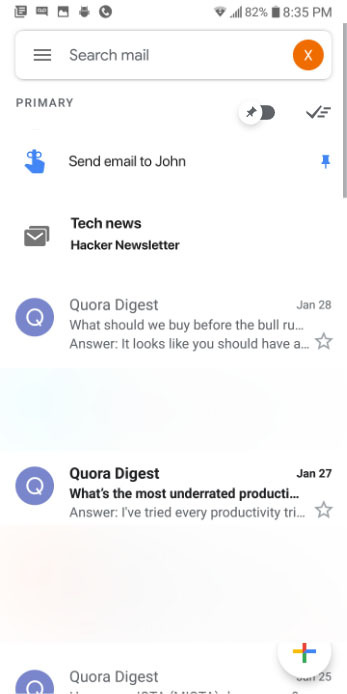 The user who posted the screenshot says that an engineer friend provided it to him, showing a toggle for pinned emails, Inbox reminders, a clear-all/archive-all shortcut and possible bundles. It certainly looks like a mash-up of Gmail and Inbox. Again, I’m not sure if this is real because it doesn’t really make sense the way it’s setup. Like, why have pins and stars? They are sort of the same thing. Also, a clear-all button (the little check with 3-lines next to the pins toggle) for an entire inbox is a dumb idea. It made sense in Inbox because it was broken out by day, week, and month, but it doesn’t work in Gmail unless Google separates by time like that. In this screenshot, they clearly aren’t doing that from what I can tell. Speaking of actual bundles, they aren’t shown here, only a label called “Tech news” is. That’s not an Inbox bundle, for those wondering. But hey, reminders at the top of a Gmail inbox would be great! What do you guys think? I’m hesitant to buy into this.